Footsteps Through Africa is funded by FOOTSTEPS TOURS. We operate specialised tours through in some of Africa’s most sought after destinations, giving people around the world a chance to experience how Africa captures your heart. Footsteps Tours supports all of our ongoing projects as well as funds all of the administration costs of the non-profit company. “I have spent my adult life guiding visitors through Southern and East Africa, and over the years I have come to know countless people and communities all over this magnificent continent, many living in conditions poor beyond imagination. In some areas, children of 4 or 5 years old walk over 10km per day just to get to school, and women and children walk over 15 km just to fetch water to feed their families. Here, people die every day from easily treatable illnesses, just because the closest medical facilities are a 2 hour drive away, and there is rarely available transport efficient enough to get them there. Something needs to be done. When I first visited Uganda during a 4-month-long job, I got to know a small community of people living in a village in western Uganda – Rubuguri. The people here immediately stole my heart, proving to be some of the happiest and most welcoming people I have ever had the privilege of meeting. This is where I met Stella, a 12-year-old orphan who had joined a local singing and dancing group to try and make enough money to put herself through school. I found Stella incredibly inspiring, and I admired her dedicated perseverance, so I offered to sponsor her schooling. Shortly after meeting Stella, I learned how many kids in Rubuguri were in the same position as she was; without the ways and means to go to school and receive the opportunities that come with basic education. I knew other travellers would feel the same as I did, so I started a small sponsorship program assist with these children’s schooling. That was the birth of Footsteps Through Africa, and now 20 students (and counting) have been sponsored a place in the local school. Footsteps Through Africa was founded by Jo Cooper in Rubuguri, Uganda, in 2015. After spending many years working as a tour guide and travelling all over Southern and East Arica, Jo got to know countless needy communities all around the continent, but it wasn’t until he met Stella, a 12 year old orphan in Uganda, whose dedication to her education inspired Jo and opened his eyes to how much a little bit of help can go along way. At the age of 12, Stella had joined a local singing and dancing group to try to make enough money to put herself through school, as she had nobody supporting her. After hearing about this, Jo offered to sponsor her schooling…the appreciation shown, not just by her, but the entire community was overwhelming. That was the start of Footsteps Through Africa’s first project, a student sponsorship program, and from that, Footsteps was born. Since founding Footsteps Through Africa, we have initiated numerous other projects in the area. A community library in Rubuguri provides the community with reading material for the first time; supporting the local medi-clinic assists wit the medical standards; assisting a local school improves education facilities and our cultural centre is a fantastic space for locals and tourists alike. 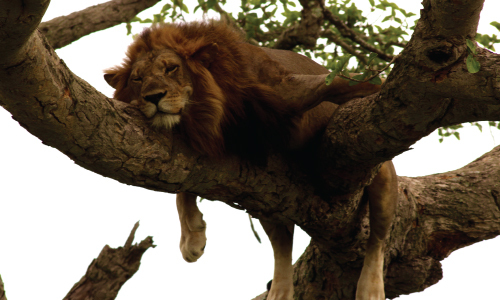 Jo’s passion and experience lie’s in conducting wildlife tours through Southern and Eastern Africa. 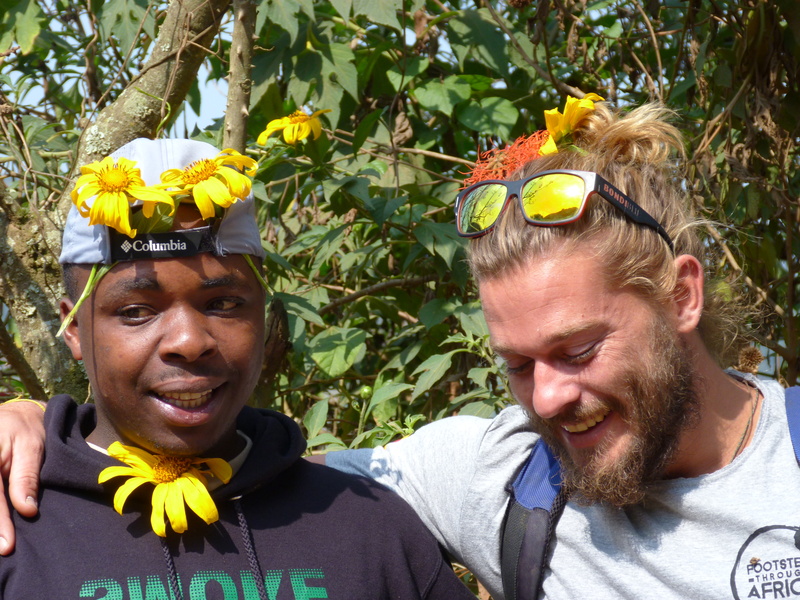 So when it came to finding a way to fund the non-profit work that we do, running specialised Footsteps Tours was the natural way to go. We now run 7 tours per year through 6 different countries, giving people from all corners of the globe a chance to experience just what is so special about this magnificent continent. 10% of what is paid for each tour, is a direct contribution towards our on-going projects, having a direct impact on the community that we support. 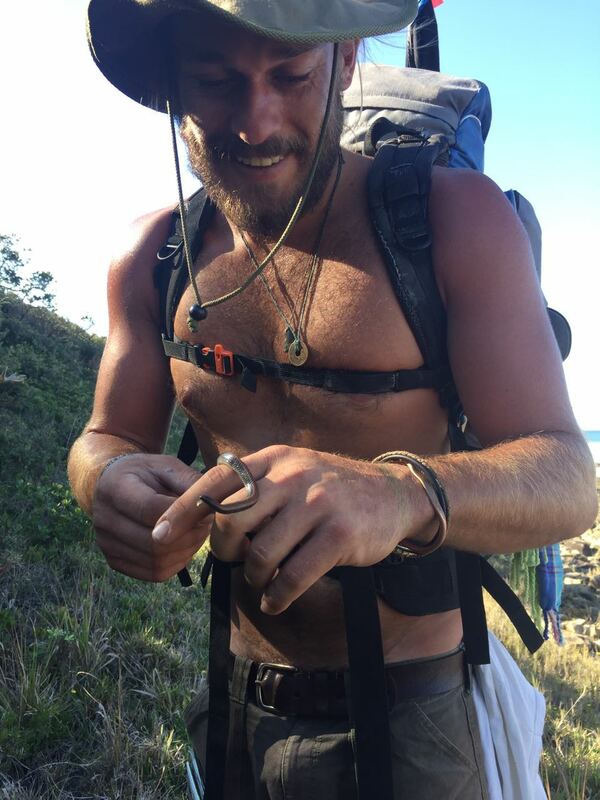 The Journey is Jo’s funding raising adventure on foot, kayak and public transport from Africa’s most Southern tip, Cape Aughulus, to South Western Uganda, where Footsteps first began. It commenced at the end of April 2017. 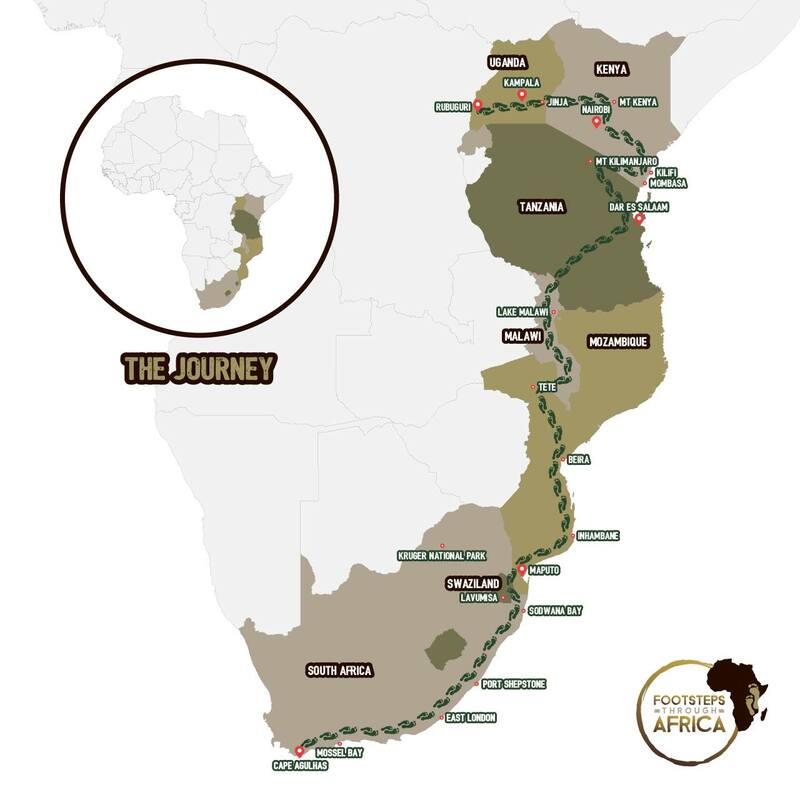 The Journey is the initiative that put Footsteps Through Africa on the map….there are not many people crazy enough to attempt to accomplish such a feat! The Journey is still underway, slowly but surely. All of Jo’s progress can be followed on our social media pages…find out about the people he’s met, challenges he’s faced, and differences we have managed to make to peoples lives from the funds raised by the Journey!